RSS is a very powerful push technology. By that I mean that instead of searching out a blog or website for quality content, the relevant information is sent out (pushed) to you (your RSS reader). RSS content is sent via a XML file (what’s that??) so you need a RSS reader to decode it. 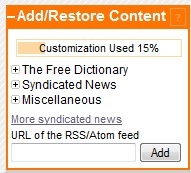 There are a number of free RSS readers available (My Yahoo, etc. ), but I’m going to limit this post to describing the free RSS reader I use. Its highly advantageous to have at least one RSS reader narrowly focused on your main niche or area of interest, because its so easy to get distracted. Click the “Return to The Free Dictionary” link in the upper left column once you are logged in. Click the X at the top right of any content box to eliminate that box from display. Drag and drop feeds once entered to any position desired. 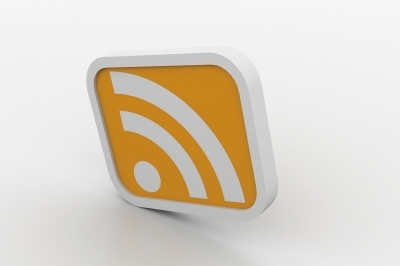 Make sure YOUR RSS feed is included on your page (another backlink). When your custom page is your start page, you will find yourself getting “right down to business” immediately at log on. You will consistently find quality content that you can retweet, like, or share via social media. I suggest using a relevant image whenever you share via social media. Sharing quality content builds your own authority status so put a strong effort into this strategy. Is Bloglovin’ A Good Choice To Offer As A RSS Feed?